Political templates, as the name suggests, are mostly used as a propaganda measure to popularize and publicize the deeds or engagements performed by a political party. 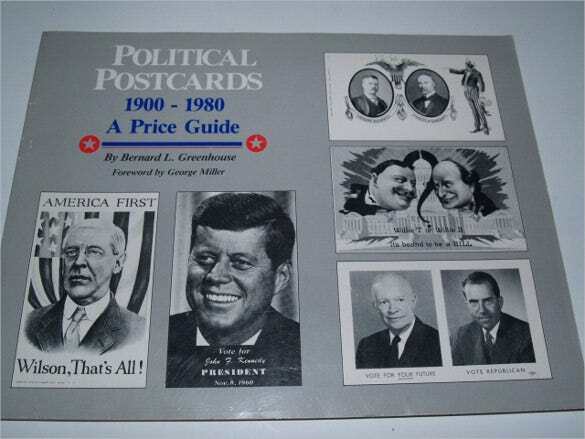 These post cards often contain information on any speech or any kind of gathering which has been organized by any political party, and would be superseded by a political person who in most cases, is the one standing in elections. 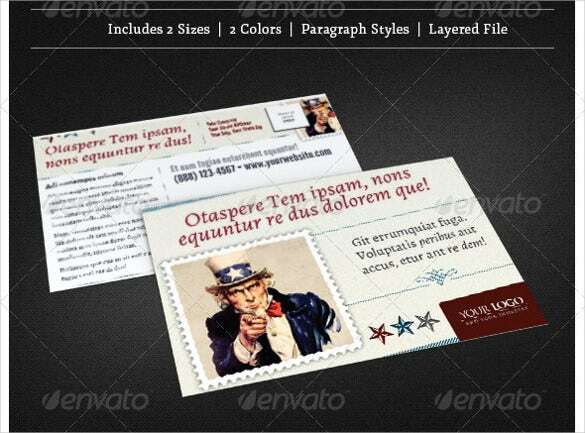 You can also see Event Postcard Templates. 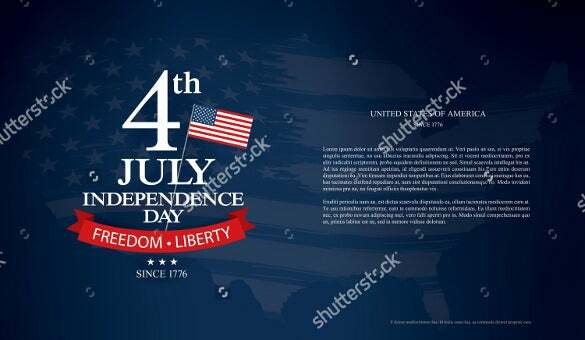 These postcard templates are mostly designed using PDF or PSD format containing the image of the political person, the logo and the mission statement of the party along with the details of the program organized by the party. This postcard template would be perfect for a political leader standing for elections. It would allow the recipient to know more about him, thus increasing his chances of emerging victorious. Abraham Lincoln is still the most loved president of the United States. 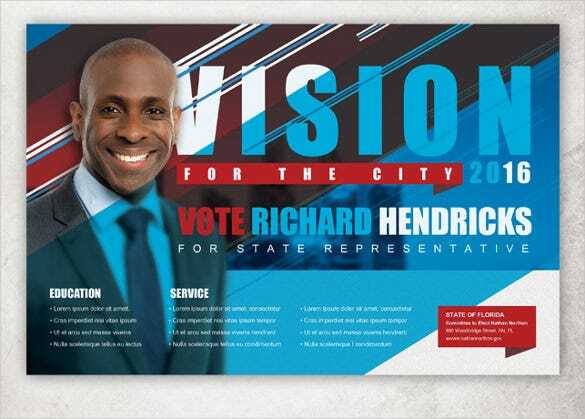 Wouldn’t it great to have his image on your political postcard? After all, he is the epitome of righteousness and morality. 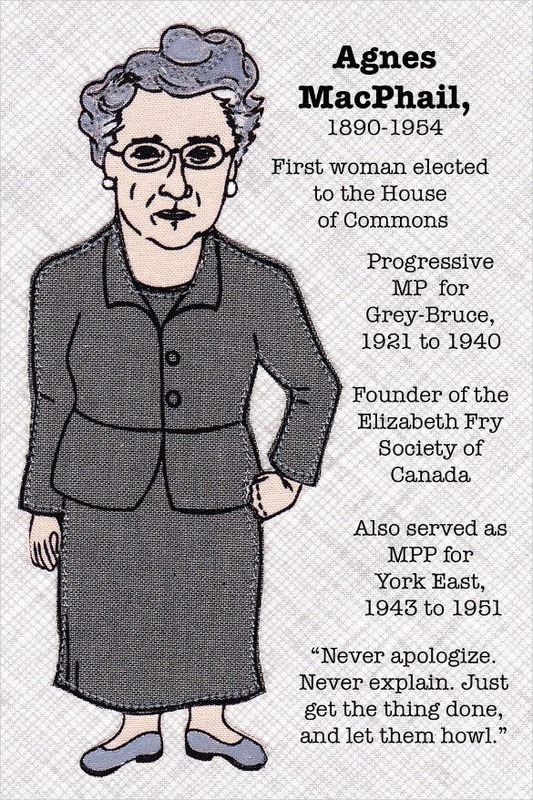 If you want to spread your name as a great political leader, then this postcard template would be a great way to do so. You can even add an image of yourself on the template to reach out. If you’re standing for elections this time, you need to devise an effective election campaign. One aspect of that could be including your picture on postcards which would urge voters to vote for you. 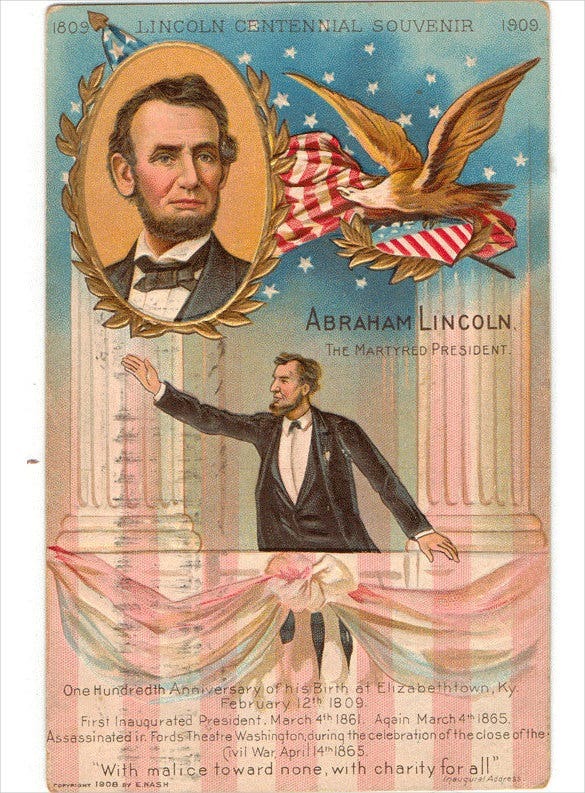 Go back to your history books with this fantastic vintage US Presidential campaign themed postcard template. It would be a great way to add a unique touch to your postcard. Political buttons are a great way of publicizing yourself in order to get more votes. 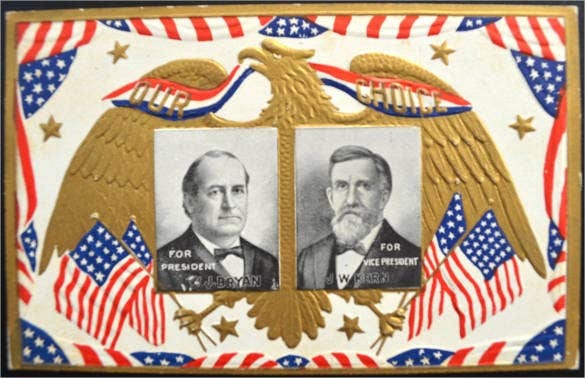 A political buttons themed postcard would be an attractive look for your postcard, which would appeal to voters. 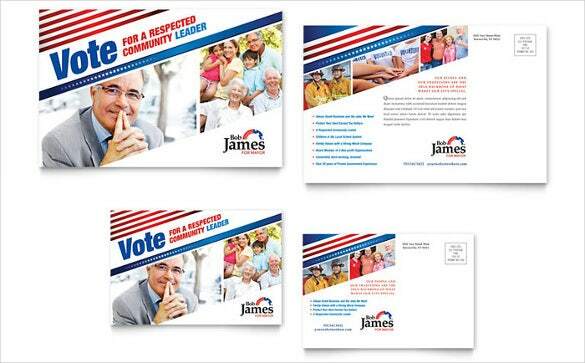 One look at this great postcard template is sure to convince voters to vote for you in the elections. 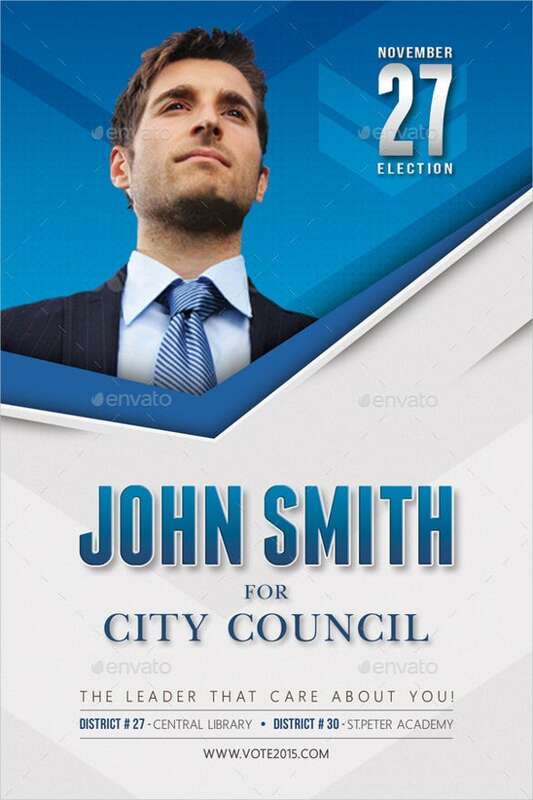 You can also add your political party logo on the postcard to make it look all the more authentic. Women are making quite a name for themselves in politics today. If you’ve recently been elected as a political leader, then you should celebrate by sending out this amazing political postcard. A black and white colour combination adds grit and a sense of tremendous power to your political postcard. If you go with this extraordinary look, you’re sure to make a great impression in the minds of the audience. 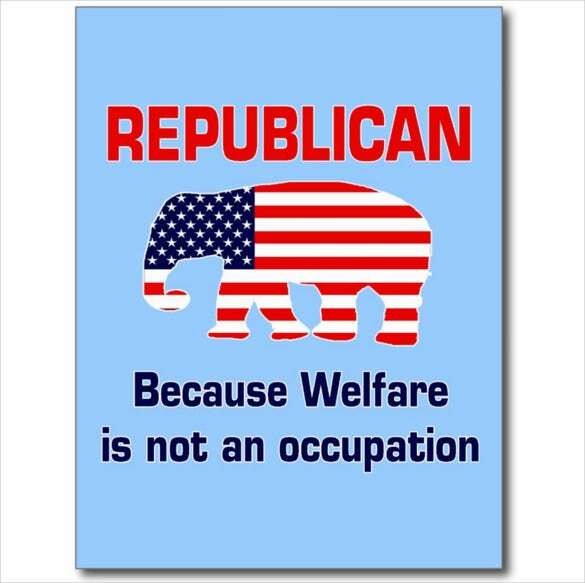 The age old war between the Democratic and the Republican has been demonstrated in this template. It also adds a funny message which is sure to crack your recipients up. And we all know that humour can work in your favour. 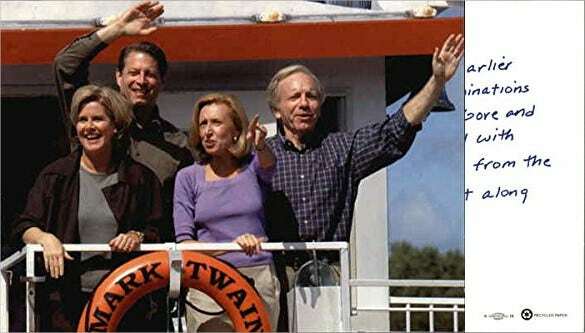 Voters usually look for political leaders they can relate to. If you use this template, you’re giving off the impression of being a loving family man. And that’s what your voters will want to see. 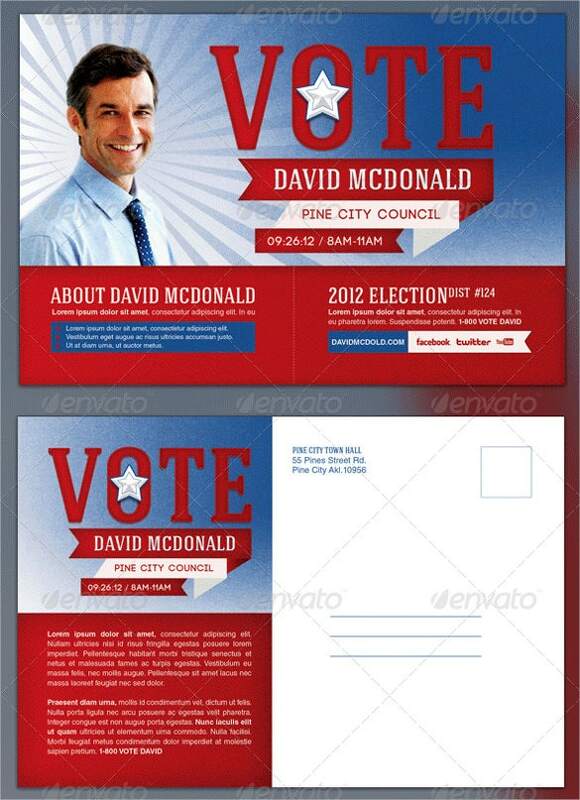 A political themed postcard can look really attractive and appealing if an image like the one in the template is added. All you have to do is download the template, customize it and add all the necessary details required.